Mediation is inherently a creative process. Under the guidance of the mediator, the parties define problems, set goals, and generate solutions. The range of solutions that can emerge from the mediation process is potentially limitless. The skill a mediator brings is the ability to tap into that potential, stimulating the imagination of the parties to enable them to solve problems creatively and collaboratively. 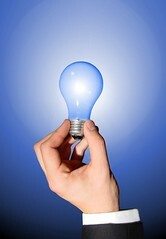 Innovationtools.com offers a list of creative thinking tools available on the Internet. These include downloadable text-based and web-based tools, games, and activities. Teamwork: Skills for Collaborative Work “is a web site developed to provide support for group communication processes”. It offers information, links, and even self-assessment instruments aimed at building and improving teamwork. The section focusing specifically on problem solving in groups describes three different types of problem-solving processes—reflective, conflict-based, and creative. Mycoted Ltd., which concentrates on “creativity and innovation in science and technology,” offers links to a dizzying array of creativity techniques whose usefulness extends well beyond the realm of science and technology, offering inspiration for any group, regardless of its focus. The web site also includes some fun lateral thinking puzzles to jumpstart the creative process. Many of the concepts and techniques described on these web sites could be readily imported into mediation practice. Or try them yourself in your next departmental meeting or brainstorming session.